Argent is an English rock band founded in 1969 by keyboardist Rod Argent, formerly of The Zombies. The first three demos from Argent, recorded in the autumn of 1968 featured Mac MacLeod on bass guitar though he was not meant to become a member of the group. Original members of the band were bassist Jim Rodford (Rod Argent's cousin and formerly with the Mike Cotton Sound), drummer Bob Henrit and guitarist/keyboardist Russ Ballard (both formerly with The Roulettes and Unit 4 + 2). Lead vocal duties were shared between Ballard and Argent. Rod Argent, Chris White (former Zombies bassist, producer, songwriter) and Russ Ballard were the group's songwriters. Some of Ballard's compositions became hits when they were covered by other artists, including Kiss, Petra, Rainbow, Hello , Santana and more recently the brazilian metal band Oficina G3. 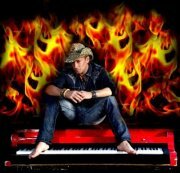 11.15.11-Nashville, TN - Brandon Giles, a wild and outrageous piano man in the mold of Jerry Lee Lewis rocked the Bluegrass Inn honky-tonk club on Music Row in Nashville on a warm October night this evening. This fantastic young man, a virtual smashing keys piano performer, kept the audience spellbound with his piano antics that would have made Jerry Lee very proud. There is no denying that Nashville's music row has it share of some of the most dynamic and fantastic performers on the planet and Brandon Giles just set this club on fire with his exciting and very fulfilling performance the likes I have not seen in quite some time. Giles had the audience yelling, screaming and hollering as he performed on top of, underneath of, laying on top of, and hanging above the piano in one of the most wild displays of showmanship I have ever seen on stage. There is certainly no denying that Giles piano performing show ranks right up there with some of the "Killers" legendary performances. When visiting Nashville, or any other venue across the country where this dynamic young performer is appearing, you will not be disappointed in attending his show. 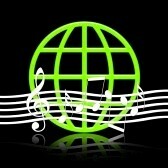 Visit Brandon Giles on facebook. NOV. 2011-MusicWire Magazine - Nashville, Tennessee - I now have a very clear perception of why Nashville is called Music City USA. I aIso have a much better understanding of what Music Row is really about. I recently went in search of America's talent for the 34th Annual Aurora Country Festival in Aurora, Kentucky. I am honored to be the Chairman of the 34th Annual Aurora Country Festival being held in Aurora, Kentucky in western Kentucky on Kentucky Lake on October 7, 8, 9, 2011. 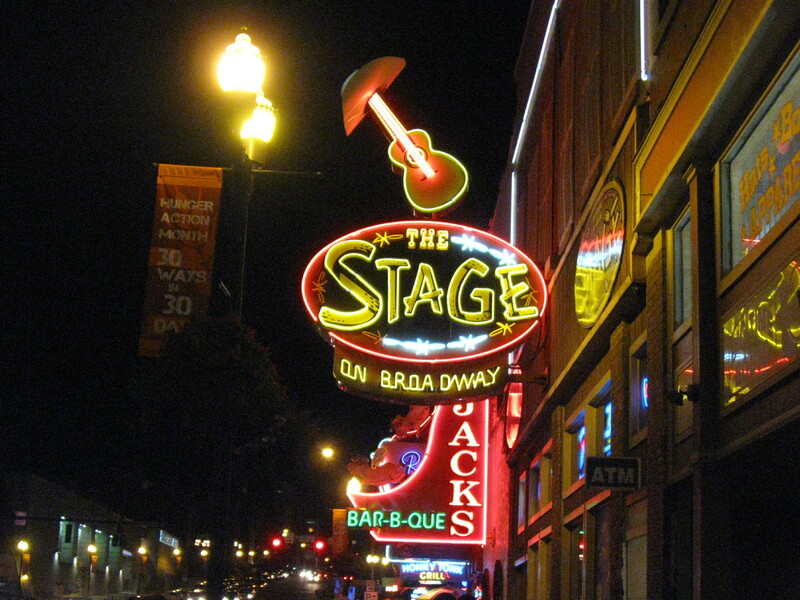 As I scouted Music City, I came across unlimited talent in the Honky Tonks, Clubs and talent showcases surrounding "Music Row". Not only did I find unlimited talent in those establishments, I also found very admirable talent on the street with unlimited street performers playing everything from guitars, drums and reggae music to dancing troops, breakdancing performers and even Michael Jackson impersonators. The talent I found performing on the streets of Nashville was astonishing to say the least. Nashville was indeed a melting pot of musical and performing talent I am sure is not found in any other city in America. 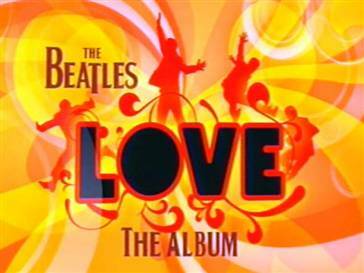 Sarasota,FL - On the dawn of the fifth anniversary of the Beatles “Love” compilation, I felt compelled to share my thoughts on why I consider this remix to be the best Album to date. Perhaps the reason lies in the fact that it features the one and only fifth Beatle. No this gentlemen or may we call him: Knight, didn’t overdub new instruments or transgress his soul through history like a time machine placing himself behind the microphone next to John or Paul. Nearly 42 years after their arrival at JFK in NYC, he was allowed to add himself in the mix. Ok Beatle-fans, I know you are aware of whom I speak…Sir George Martin was the magic behind this remix of what we call Beatles Love.For Every second of every song, you can see just how vital he was during the innovation period of music called the 60’s. Most any new Beatles material is automatically assumed, great, additionally greeted with Love by the same old fans and new ones that sprout up each New Year. "Being for the Benefit of Mr. Kite" is simply a masterpiece of the re-produced perhaps from all the insightful overdubs along with combination of frivolity and musical acrobatics, you can assume it’s nearly like opening up a 40 year old bottle of “Lambrusco” - It’s vintage yet another element made it perfection. "It's all too much." – call it psychedelic madhouse of scrimps and scrambles of over-dubs yet again, toned to pure bliss on the eardrum. "I Am the Walrus," is about as much ear candy as one could imagine, as the multitude of undercurrents of dubs interacting with one another settles on mind as awe. Argent went on to work with Andrew Lloyd-Webber, and to produce a couple of solo albums. He also opened a keyboard shop in the West End of London. Argent's biggest hit was Rod Argent and Chris White's "Hold Your Head Up" from the All Together Now album, which, in a heavily-edited single form, reached #5 in the U.S. It sold over one million copies, and was awarded a gold disc. "Hold Your Head Up" was covered in 1987 by the band 20/Twenty, which recorded on Refuge records' Christian label. Argent also recorded the original version of "God Gave Rock and Roll to You", written by Russ Ballard, which was covered by Kiss in 1991 under the name "God Gave Rock 'n' Roll to You II", and featured prominently at the end of the film Bill & Ted's Bogus Journey. The song also became a Contemporary Christian rock anthem and was twice covered by the Christian Rock band Petra, in 1977 (on the album Come and Join Us) and again in 1984 (on the album Beat the System), with new verses. The Russ Ballard song "Liar" on Argent's first album became a hit for Three Dog Night. The sound of the band was a mix of rock and pop, but also covered more progressive rock territory in songs like "The Coming of Kohoutek," an instrumental from their Nexus album. When Ballard left the band after Encore, they took an even more progressive/fusion turn with their final Epic album Circus and then signed to a new record label (United Artists) for the final 1975 album Counterpoints. By 2005, all albums, including compilations, have been re-released on CD, except Counterpoints. The original Argent lineup reunited at the High Voltage Festival in Victoria Park, London on 25 July 2010, and undertook a short five date concert tour in December 2010, with gigs in Frome, Southampton, Wolverhampton, Leamington Spa and London.